At Terme Lendava, nature has generously given us gifts that promote health and well-being. Trust us, their power is priceless! Experience it for yourself in our wellness treatments. Take a look at the wellness packages! What is green paraffin water good for? At Terme Lendava, we offer therapies based on green paraffin water, herbs and healing mud. We swear by the beneficial effect of crystals and colours and believe in the power of acupuncture when it comes to alleviating health issues. Our green paraffin water is particularly beneficial for rheumatic conditions. Combine it with various forms of physiotherapy and you will return from your holiday feeling completely reborn! There are five energy points around the resort. They emit energy at different frequencies, affecting various organs and the organism as a whole. You can also walk the barefoot trail to eliminate negative energy and absorb fresh, positive energy. The coin of health is an amulet that uses cosmic energy, local clay, amethyst and paraffin thermal water to harmonise the energies and improve the wearer’s health. The beneficial paraffin water has been used to make a cooling gel to relax tired muscles, a gel to help combat tiredness, and a glucosamine gel to help with rheumatic problems. Dive into an elixir of health for the body and beautiful skin – our paraffin water. Try our special baths with added flowers from the local linden tre ...es or leaves from the local grapevine. We offer a range of thermal wraps, from classic paraffin and parafango (mixtures of paraffin and healing mud) to herbal wraps. They all have pain-reli ...eving and beautifying effects! The hotel has 2 Finnish saunas, 1 infrared sauna and a Turkish bath. In the Finnish saunas, you can experience coloured light and crystal therapies. R ...elaxation and well-being guaranteed! 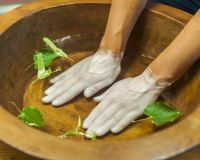 Our treatments are designed around herbs and paraffin. Pamper yourself with the Castle lord, Vineyard dreams or Linden source of youth programmes with ... a local twist. Put yourself in the experienced hands of the Terme Lendava massage therapists, say goodbye to tension, pain and tiredness and let your body regenerate ... naturally. We offer classic and themed massage therapies and aromatherapy! The purpose of physiotherapy is to alleviate problems before they develop into more serious conditions. We offer a range of physiotherapy treatments a ...nd more complex forms of rehabilitation. with other natural healing factors (mud wraps, herbal wraps and more), it has been used for almost half a century to relieve chronic rheumatism, as well as post-trauma and post-operative conditions of the locomotor system and the peripheral nervous system. 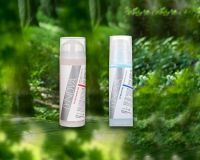 The paraffin thermal mineral water also helps with skin conditions – it promotes the healing of burns, softens scarring and alleviates non-infectious skin diseases. Additionally, it has a beneficial effect on respiratory conditions and osteoporosis. Discover the effects of balneotherapy and thermal water in our many pools and baths with paraffin water.